The administration of President of the United States Donald Trump is going to sign a decree on ending the support of the program of the International Space Station by 2025. This is reported by the portal The Verge, familiar with the preliminary documents of the draft state budget. The publication notes that if the station is closed, American astronauts risk being left without space for many years, unless, of course, NASA aerospace agency does not come up with this time and will not develop new space vehicles to implement plans for the development of outer space. To its final appearance and before entering the US House of Representatives on February 12, the draft budget may be changed several times for consideration, however, two unnamed sources close to this case confirmed to The Verge that this directive will be presented in the final proposal. At the aerospace agency, NASA declare that they will not comment on this information unless they themselves see the final document. "NASA's aerospace agency and its partnership for the International Space Station project are fully focused on scientific and technological research aboard the orbital laboratory, as the station is the basis for further human progress into space," the NASA spokesman said in a conversation with reporters The Verge. "We will not comment on rumors and talks about documents not yet submitted for discussion about the future budget. They are going to present only on February 12 ". The publication notes that any proposal submitted by the Trump administration will be the subject of a thorough investigation by Congress before it is adopted. But even rumors about the intention to stop financing the ISS can become a signal to the international partners of NASA that the US is no longer interested in continuing support for this program. In turn, many of these partners themselves have not yet decided whether they will work at the station after 2024. The project of the ISS station has been going on for more than two decades. For NASA (not to mention other participating countries), each year the maintenance of the station costs 3-4 billion dollars. In general, the US government has invested more than $ 87 billion in the ISS. ISS is the main platform for conducting both governmental and commercial experiments in microgravity. The station conducts research aimed at understanding and solving problems associated with long-term presence in space - critical studies that will be necessary to implement plans to conquer outer space. Previously, NASA promised to maintain financial support for the International Space Station until 2024. But this was done under the former administration of the 44th US President Barack Obama. After his departure from the post of head of state, the question of the station was suspended in the air. What will happen next? Congress openly began discussing the issue of the future of the ISS after funding for its program has been discontinued, but this discussion has not yet yielded concrete conclusions. Many parties in the commercial sphere would like NASA to extend the program again, now by 2028, when the calculated operating time of the station will come to an end. This would give the agency time to figure out how to transfer the ISS to full commercial use, and private companies - to launch a new commercial module to the ISS. The media reports that by 2024 it will be impossible to do this. The decree sent by President Trump last year to the space agency urged him to think about how to get the ISS out of the funding of NASA. Consideration of this issue was planned for December 1, 2017, but NASA so far has not provided any public information about what these hearings led to. The government, in turn, would also be willing to take the International Space Station out of the jurisdiction and funding of NASA, thereby sending the freed funds for the development of space vehicles and technologies that will be needed to further develop the deep space. At the moment NASA is completing work on a new space launcher Space Launch System, as well as a manned spacecraft Orion (both projects are conducted by space agency contractors), which will be able to deliver astronauts beyond the low Earth orbit. However, the US president said he wanted to send astronauts to the moon, and therefore the space agency will need more free resources to implement this plan. Returning to the moon and later installing a permanent settlement there will require the development of a new landing module, housing, and new technologies that will allow the colonists not only to stay alive, but also to conduct productive activities to develop the colony. In the meantime, the extremely short budget of the space agency clearly does not correspond to the tasks set, the edition of The Verge notes. However, an early abandonment of the ISS without an available alternative can create a long break in activity in the near-earth orbit. The same happened in 2011, when the space shuttle program was closed. Then the Obama administration abolished the initiative of NASA, the program "Constellation", one of the main goals of which was to return to the moon. This completely left the US space agency, like its astronauts, without access to outer space. The government decided to rely on private companies to start sending astronauts to near-Earth orbit. The initiative resulted in the program "Commercial manned flights", which was attended by two companies - SpaceX and Boeing. Both were developing manned spacecraft, with the help of which it was planned to deliver astronauts to the ISS. But almost seven years after the closure of the space shuttle program, NASA's private contractors are still not ready to send people into space and, most likely, will not be ready for it in the next two years. This, in turn, makes NASA rely on Russian spacecraft. In addition, while the program "Commercial manned launches" is now actually idle. 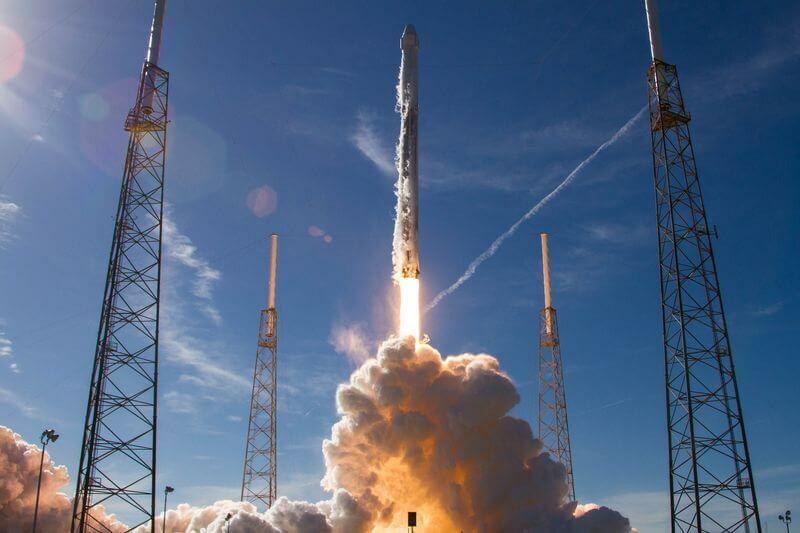 A recent government analysis showed that neither SpaceX nor Boeing will be able to pass the necessary certification for access to manned launches to the ISS at least until the end of 2019 - the beginning of 2020, which in fact leaves them only 5 years to carry out regular flights to the station. In addition to its scientific and commercial benefits, the ISS plays the role of a cornerstone in international cooperation. NASA is working together with the Russian space agency Roscosmos, as well as cooperating with the Canadian, European and Japanese space agencies.